A bronze model of the sculpture ‘Poetic inspiration, Ray,’ by Sakae Toshiaki. 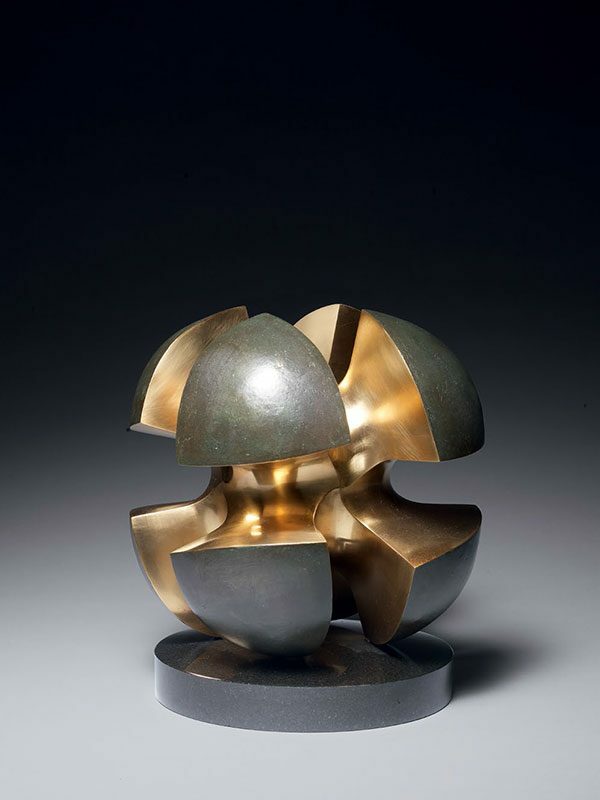 The bronze consists of two tiers of four quarter spheres that ‘explode’ from the centre. The inside of the model is gilded. The artist Sakae Toshiaki (born in 1937) was active in 2015. He works in metal, wood, and stone. This is a model for a full-size public monument he designed in 2003 which is placed at the west entrance of the JR railway station at Shinonoi in Nagano prefecture. The title of this sculpture is Uta. San (Poetic inspiration, Ray).